It's that song. I don't know if you know, but the main theme song from the original LocoRoco was so damn infectious I had to download it immediately. Then I found out it was sung by some little kid, and then I felt creepy. Children's music is usually like that. So I have to say I have a funny relationship with LocoRoco. See, it's so saccharine and cute that I feel “off” after a just a few hours of play. Things might be different with the latest LocoRoco to come out, the PlayStation Network-exclusive, PlayStation Portable-only LocoRoco : Midnight Carnival. There's some new features in this not quite sequel that made me, yes, pretty damn stoked to play some more. And no creepy children songs were there to get in my head. 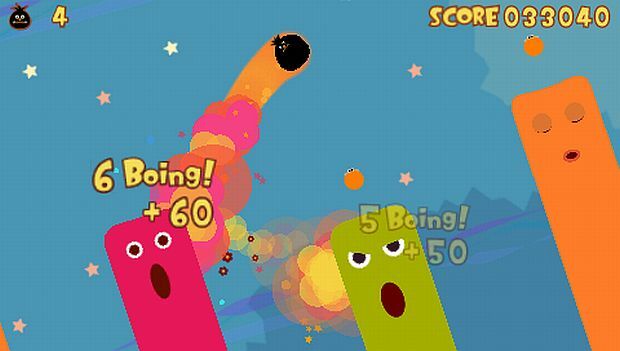 Follow the jump for my hands-on with LocoRoco: Midnight Carvival. In case you don't know, LocoRoco as a series is a charmingly adorable platformer that is controlled by tilting the world with the L and R bumpers on the PSP. Tapping both causes the fat, bloated LocoRoco to bounce, and you'll have the option to break up your LocoRoco into cuter, smaller LocoRocos by tapping a button. LocoRoco: Midnight Carnival breaks things up in two ways: first, this game is themed around Halloween. The levels take place at night, and there's pumpkins and stuff. It's cute, and ties nicely with the late October release. The second, and more important issue is the new super jump combo system. When you jump, if you re-tap the jump command just as you land, you'll rocket much higher than normal, as well as start a combo multiplier. The goal of Midnight Carnival is to keep rocketing around and off walls, and get to the finish in as fast as possible with the highest score possible. The top five scorers in the world will also have the opportunity to load up ghosts of their speed runs, so that other players can watch how the pros play. There's only 16 levels, so knowing how each one plays out is important in scoring. Multiplayer has also been given some more focus, I was told. There are now four ad hoc races you can have, as well as a co-op mode for people playing together. And to personalize your LocoRoco when you play, they can be customized with unlockables. 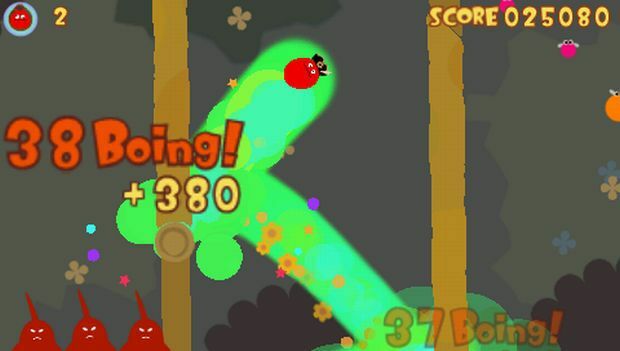 I've got to say that as far as LocoRoco goes, this is really fun. The combo system (which yours truly rocked) means this game is a lot more bouncy, and the $14.99 price tag and score-based features are nice to have around. I don't know how much bigger the game is in relation to other LocoRoco games, but it seems this one is much more replay based than the rest. A plus for PSPgo owners: I was told that this is the only PSP game that can be played with the screen in the down position. Look out for it in late October.